We live in the digital age where we choose to share most of our photographs online. Instagram, Facebook and the likes have all led us to post photographs for our family and friends to enjoy. Yet, looking back, when was the last time that you choose to have some of your photos printed? Printing photos is not a thing of the past, in fact it is making a huge comeback as people are choosing to have their most precious memories printed so they can display them in their home. We reveal four fun and simple way you can display your favourite photos from your travels. If you’re feeling creative then why not try you hand at putting together a fun collage from your holiday. 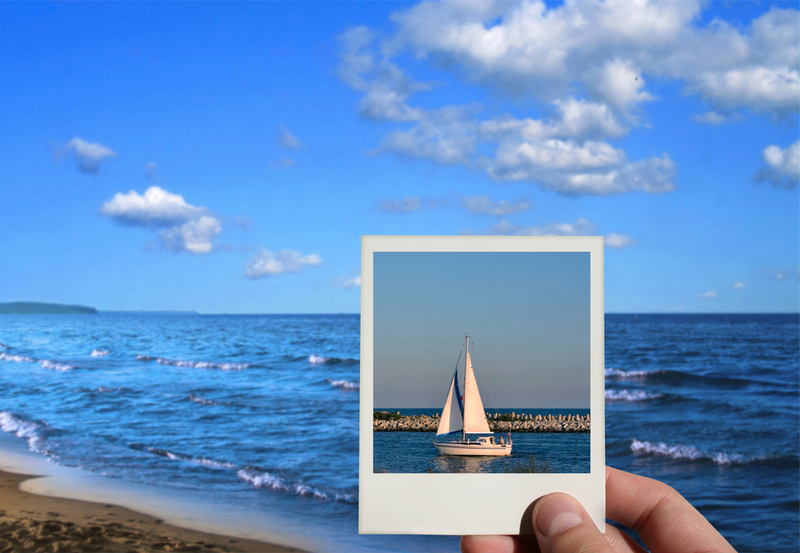 You can arrange your favourite photos and even trim some so that they fit together nicely. A quick way to jazz-up your college is to add in some memorabilia from your vacation. For example, if you still have the boarding pass or tickets to a show that you went to see, you can add them into your frame. Once you’ve got the layout sorted then you are ready to affix them onto a backing using a special glue, and then placing them in your frame. A really special way to display your photos is to order a custom made frame. These frames allow you to display any shape of photo from your holidays, as they are created exactly to your specification. Although it does cost a little more than ordering a premade frame, it’s certainly worth it. This option also makes a thoughtful gift for a friend or family member. Head here if you need a little help taking the best holiday shots. Another way to display your photographs is to purchase three small photo frames that complement one another. They should be in similar styles and also fit in well with the decor of the room that you are placing them into. Then you can choose three of your most favourite holiday photos that also work well together. They can have similar hues, or fit in with the theme. Then display these photos and arrange the frames to make a little photo area in your home. Finally, you can choose to keep it simple by just displaying your most treasured photography in one beautiful frame. This option works well when they are being displayed on some fancy furniture in your living room or on your bedside table. Some people like to change the photo once a month to keep it fresh and bring around new memories. You can also place little mementos like shells and souvenirs next to the frames. There you have it, four very easy ideas that will help you to incorporate your most treasured holiday and travelling photos into your home. Enjoy!